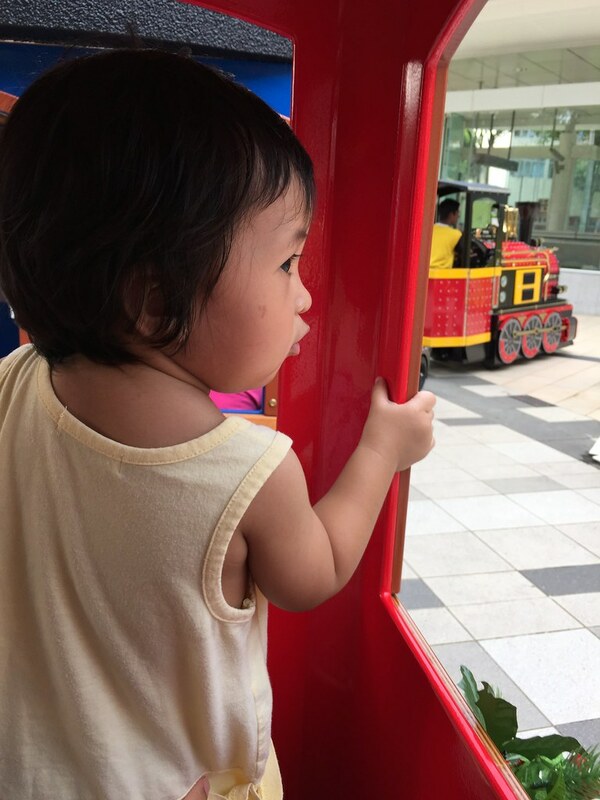 Last Christmas we had some choo-choo fun with Thomas and Friends and this year it was with Chuggington at City Square Mall. 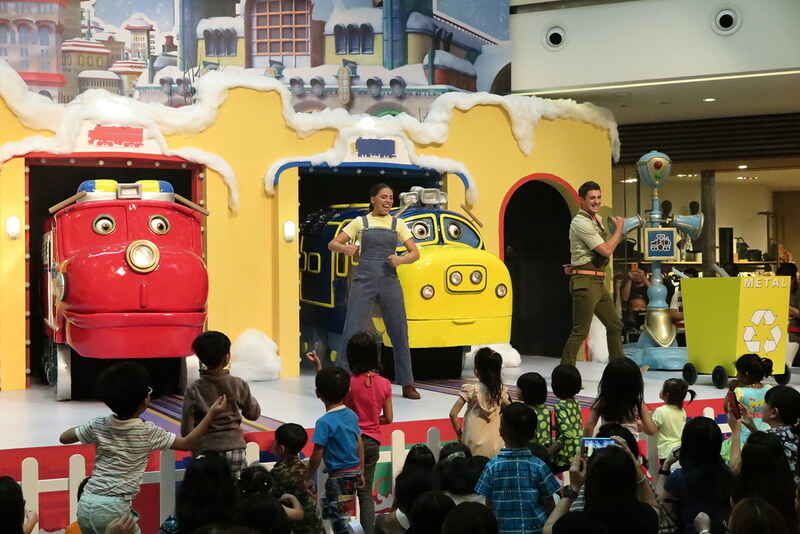 The beloved Chuggington Trainees Wilson, Brewster and Koko return for a new adventure at City Square Mall! 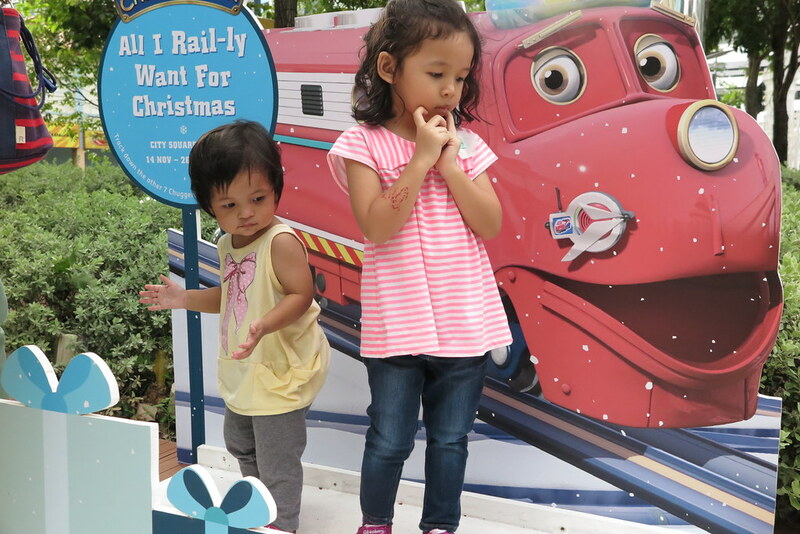 The Chuggington Winter Snow Party will also see Lorie and Morgan joining the Trainees, introduce new songs, eco-friendly themes and most importantly, a spectacular light up which will fill the atrium with Christmas cheer. Watch out for falling snow too at the end of the show. 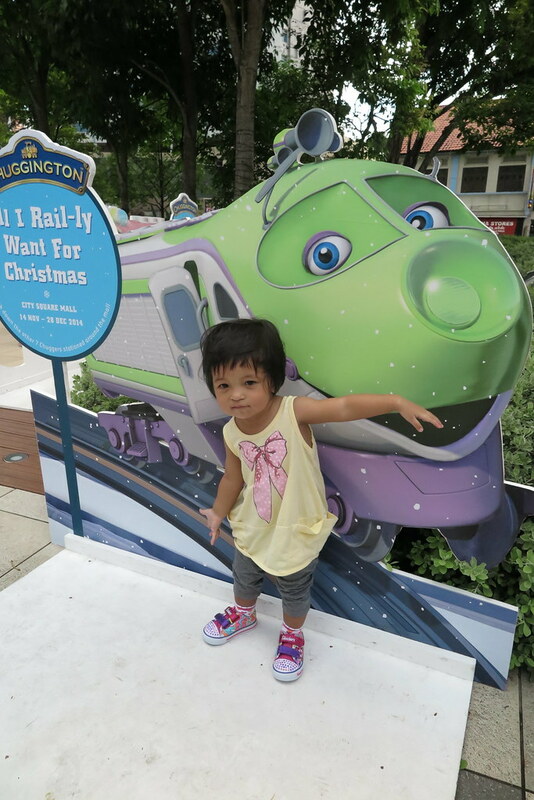 Ayra was unwell the entire week when we caught the show and was still recovering that day, we wanted to give the show a miss, but this girl of ours insisted she wants to go catch Chuggington. Before the show started, she was up following the moves but soon after she got tired, I had to carry her throughout the show cos she refused to let me go. Zara had fun too grooving to the music. These two girls of mine are so similar in so many ways. 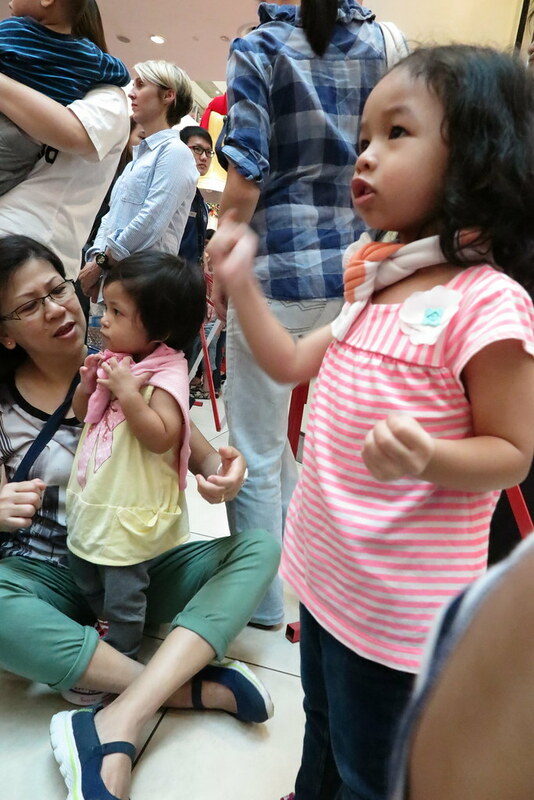 When Ayra was at the age of Zara, she too were grooving and moving to music wherever whenever. 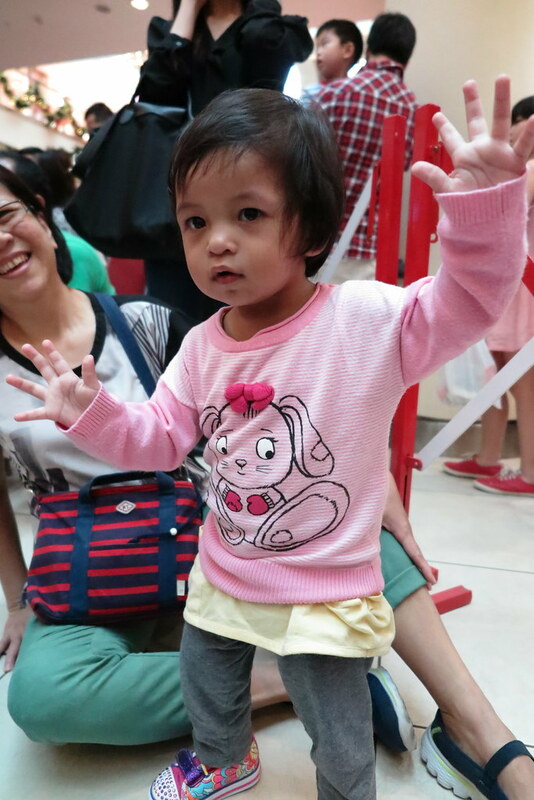 But now that she is 3, she is more aware and is very very shy when in public. Her mood swing is also much more difficult to foresee and the melt down can happen anytime anywhere very quickly. I hope she will outgrow this phase soon. By end of the show, the girls were all tired and they just wanted to go outdoor. 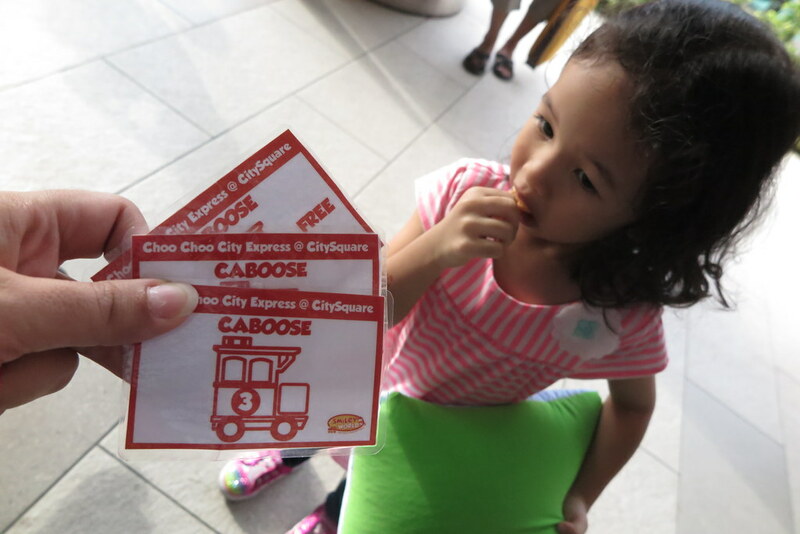 So we skipped the photo taking opportunity and headed out to ride the Choo-Choo City Express. 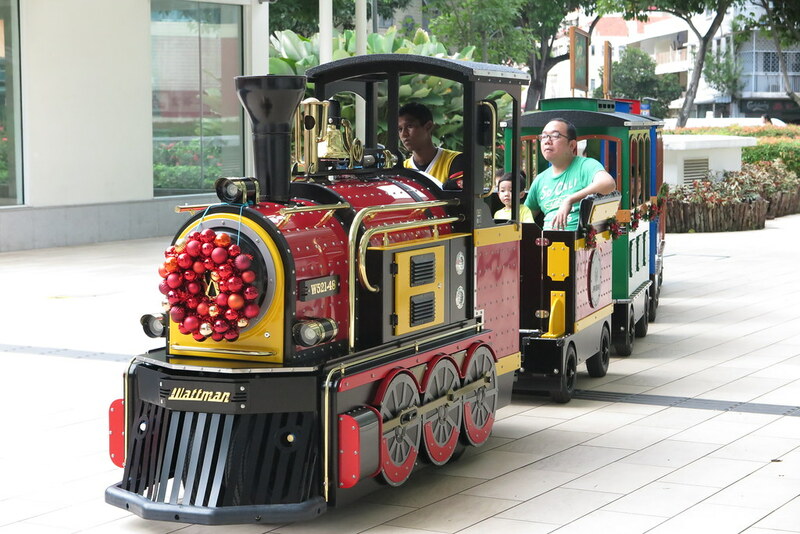 Each ride at $6 and the train operates daily from 12pm to 10pm. After getting our tickets, we had to wait for half-an-hour for our turn, so we went to snap some photos with the display around the City Green Park. When there’s music, there’s a grooving Zara. The ride around City Green Park on the Choo Choo City Express was about 10 minutes, quite worth the value, since both the girls had enjoyed the ride. 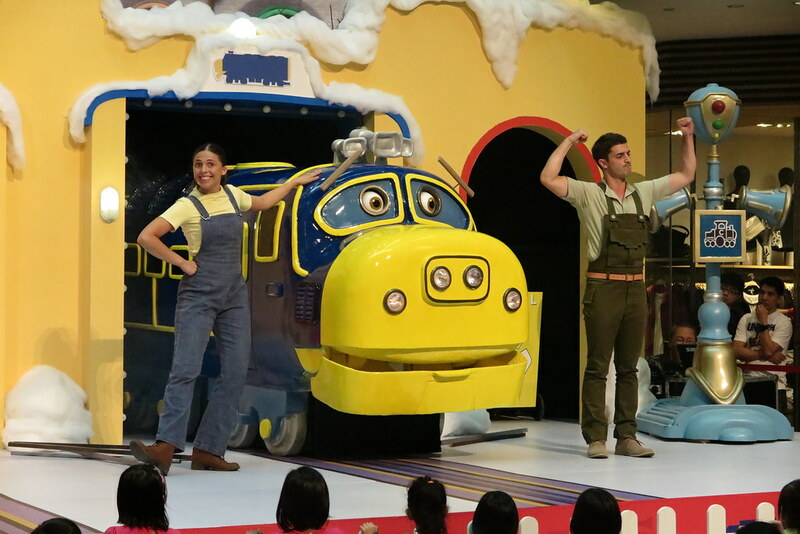 The Chuggington Winter Snow Party ends this weekend, so go catch them at City Square Mall before they close!